Gas consumption in Turkey, the second country in the world in terms of natural gas demand growth, is projected to hit 46.03 billion cubic meters (bcm) in 2017. Turkey’s energy market regulator EMRA provided the forecast basing on the index of specific heat combustion standing at 9,155 kilocalories per cubic meter. The previous index stood at 49.56 bcm. Turkey does not possess indigenous fuel resources and imports crucial fossil fuel sources, namely oil and natural gas. Being a dominant fuel in the Turkish energy mix, natural gas stands at the forefront of Ankara’s energy policy and is mainly used in power generation, residential and industrial sectors. Russia is by far Turkey’s largest gas supplier, while other major gas exporters are Azerbaijan and Iran. Azerbaijan increased the volume of supplied blue fuel in January-October 2016. The country delivered some 5.31 billion cubic meters (bcm) of gas in the reported period, as compared to 5 bcm in the same period of 2015. Turkey imports gas from Azerbaijan via the South Caucasus Pipeline (Baku-Tbilisi-Erzurum) and has a contract for purchasing 6.6 bcm of gas from Azerbaijan's Shah Deniz gas and condensate field annually. Iran exported 5.56 bcm of gas to Turkey in January-September 2016, as compared to 5.53 bcm in the same period of 2015. Some 16.86 percent of Turkey’s total gas import accounted for Iran in the reported period. Iranian gas is delivered to Turkey via the Tabriz-Ankara gas pipeline with the capacity of 14 bcm of gas per year. Iran is Turkey’s second supplier of gas after Russia, providing one-fifth of the country’s consumption. 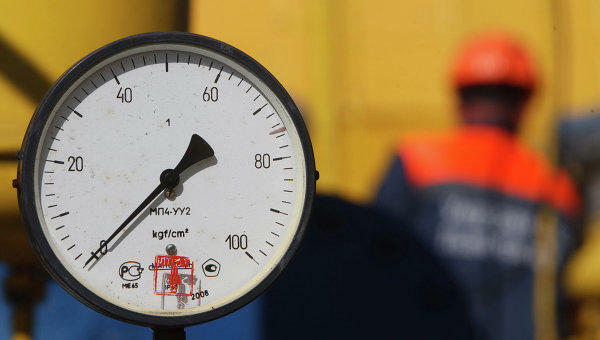 Russia sells 28-30 billion cubic meters of gas (some 60 percent of the total demand) to Turkey each year. Turkey is also expected to receive additional volumes from Russia via the Turkish Stream project, which envisages supplies of the Russian gas under the Black Sea (bypassing Ukraine) to Turkey and further to Europe. Turkey’s desire to diversify its gas source routes is also linked to the desire of the country to take advantage of its favorable geographic location and become a regional energy hub.